Scholar: Fr. Cherubim, like many after him and even those who anathematized him, retained significant Protestant attributes long after being received into the Orthodox Church. The concept of an Article by which the Church stands or falls stems from the Reformation, when Martin Luther rightly or wrongly pressed the entirety of theology as it was then known into a very small nutshell and cut off things that wouldn’t go in. He had a famed three Sola’s: “Sola gratia. Sola fide. Sola Scriptura,” that we are saved only by divine grace, saved only through faith, and accept Scripture alone as authoritative. The “Article by which the Church stands or falls” is that we are saved only by grace. It was, to Luther, the only doctrine that mattered: if you know whether the Church believes in salvation by grace alone, that is really the only question worth asking. In Fr. Cherubim, called “Dead Cherubim Jones” by those who anathematized him, there are large bits of intact Protestantism that have survived and gotten a brushstroke or two of Orthodox décor. With or without anyone anathematizing anyone, the zealots, written CATOSDDDRORB, owe Fr. Cherubim a tremendous debt. There is no longer an Article by which the Church stands or falls, but now an Article by which the Orthodox Church stands or falls. Where the former was concerned with momentous questions of grace and salvation, this is concerned by how many miles across the universe is. Reporter: Dead Cherubim Jones?!? How many mile—whaaa? Is there an indictment of ecumenism in all this? Scholar: Hmm, yes, those types will give you quite an earful about ecumenism, but there is genuinely more going on. Let me take on a couple of housekeeping details before addressing the meat of the matter. First, CATOSDDDRORB correctly notes that when people spoke of “Blessed Cherubim Jones,” they were making a twisted use of language. For many, many centuries, someone recently deceased in the Lord is referred to as, “Of blessed memory.” When Fr. Cherubim’s posthumous work came out, he is quite straightforwardly called “of blessed memory,” just like many people are referred to as being “of blessed memory” in the years following their demise. It is an available alternative, and you find this in figures as ancient as St. Irenaeos, that instead of saying, “So-and-so of blessed memory,” things are packed in a bit to refer to that person of “blessed So-and-so.” So shortly after the death of an Alexander Schmemann or Vladimir Lossky, one can be entirely right to refer to “blessed Alexander Schmemann” or “blessed Vladimir Lossky,” and this is not just for famous people. A recently reposed member of your parish may just as rightly be called “blessed So-and-so,” and other things as well. Reporter: Wow. You’re bending my brain. Scholar: There’s more; if you need to, take a walk or sit outside for a few minutes. I’ll be here. Reporter: Ok; thanks. Is there more? Scholar: Precise measurement as we know it didn’t exist. We have a platinum one meter bar under lock and key; we have measuring implements made to the most minute precision we can. Whereas, in the ancient world, under conditions of poverty that you can hardly imagine, having all kinds of measuring tools would be costly on tight purses. So, among other units of measure, they used parts of their own bodies for measurement. If a man straightens out his forearm, the distance from the outside of the elbow to the tip of the finger would be one cubit: a solution that was free, sensible, and practical. It, by the way, remains a brilliant idea today: circumstance permitting, if you want to measure a distance of a certain general neighborhood, if you don’t have a measuring implement handy, you can measure it in cubits, multiply it by some other tool and divide by the length of your body’s cubit. Voilà: approximate measurement in a pinch when you don’t have any artificial measuring-tool. This may not be a direct observation of the Bible, but literature in the medieval West had creatures who at times appeared to be the size of insects and at others reached adult human stature, and there was a remarkable lack of interest in nailing down an exact size for such wondrous being. The astute viewer may watch some cartoons that take radical changes in size to be perfectly unremarkable, and entirely natural. Now there are certain translation issues between the Hebrew and the Greek for the Old Testament, possibly stemming from relations between the arm and the leg. The “hand”, in modern Greek, interestingly extends to the elbow, and “daktulos” without further clarification can apply to either fingers and toes. Scientifically speaking, an arm and a leg are the same basic kind of thing; their proportions are different and their uses are different but they are each one of our four limbs. And what gets really interesting is when you take Protestant fundamentalist efforts to determine the size of the Universe from the Bible. Scholar: According to the Hebrew and the Greek Old Testaments, the CATOSDDDRORB devotees yield a size of 4000 miles for the Hebrew, and 7500 for the Greek, and they decided to do things the Orthodox way and settle with the universe conclusively being 7500 miles in size. Reporter: Um, uh, ok… does that do any real harm? Scholar: Maybe, but that’s not really the point. The CATOSDDDRORB eagerness to straighten out scientists’ “backwards understanding of science” has irritated a number of members of the academy. Reporter: That’s not too bad. Reporter: Present CATOSDDDRORB members were scandalized when some further manuscripts were put to publication. First, Fr. Cherubim said everything we said above and more. He said that a “foot” may be a unit of measure, maybe, but a foot of what? Of an insect? A dinosaur? Ezekiel seems to specify an explicitly human cubit. The Old Testament in either Hebrew or Greek seems to trade in “feet” (I will not comment on some ambiguities), but not “foot of man” as such. Second, this draws on mathematical subtlety, but a distance on earth, straightened out as much as a sphere permits, corresponds to a certain angle of an arc. Distances between places can be a linear measure of how much surface is crossed, or (if they are straight) they can be an angle. What this means is that distances, if we are dealing cosmologically, are cosmological distances. There are the difference represented by an angle between two rays from the earth’s center. In normal science, scientists are quick to use so-called “scientific notation” where the total size of the universe is a mouthful of 500,000,000,000,000,000,000,000 miles wide but you write it as 5.0e+23. But here’s the interesting thing. Fr. Cherubim was not dogmatic, or at least not dogmatic about the size of the universe. Scholar: Of course he was dogmatic about some things; he is dogmatic that this universe in entirety belongs to God, and scarcely less adamant that God could have created the universe at any size he wanted. However, his scholarship on the universe’s size never really nails down dogmatically that the universe is either 4000 or 7500 miles wide, or a number with lots of zeroes. If you are at all careful, you will recognize that he mentions something more devastating to CATOSDDDRORB: the size of the universe does not seem to be a particularly live question, or one that attracted particularly much debate. The Fathers didn’t really make a fuss about it. But he also fails to vindicate the standard model. Not only does he not make known use of scientific notation, but he does not seem to name the numbers that motivated people to create scientific notation in the first place, or for that matter numbers at all. One gets the impression that he envisioned a “middle-sized” universe, incredibly large to the CATOSDDDRORB crowd, ludicrously small to standard science. The gist of his writing is not to help people get the right numeric calculation. It is, here, to draw to people’s attention to how much they don’t know, and gently draw their attention to greater things. Reporter: What was the reaction to that? Scholar: In a heartbeat, “Blessed Cherubim Jones” became “Dead Cherubim Jones,” and the new Canonical Autonomous True Orthodox Synod in Dissent, of the Dregs of the Dregs of Rubbish Outside of Rubbish Bins anathematized him. The chief complaint was that he failed to buttress their efforts to take a beloved Protestant ambiance in Biblical exegesis, substitute the Greek for Hebrew Old Testament, and make their calculation of a 7500 mile wide Universe into the Article by which the Church stands or falls. Reporter: This has been very interesting. Do you have any further reading to recommend? Scholar: Sure! Here’s my spare copy of Alice in Wonderland! I’d like to unravel that a bit. Let me say it’s very simple when that happened. It happened when Fr. Seraphim breathed out his last breath. It’s that simple. We have an expression today that someone who has passed away in the Lord is said to be “of blessed memory.” That expression has been with us forever. Ecumenical councils like Chalcedon have even used a shortening of the original phrase, “blessed.” So today we might speak of “blessed Alexander Schmemann” or “blessed Alexander Lossky” as quickly and readily as “blessed Seraphim (Rose).” Or really these other two might be more appropriate, because we usually try to avoid using a monk’s last name. But the meaning of “blessed” has been hijacked! Both of these nitpicks point out to something. More specifically, the word “Blessed” when used of Fr. Seraphim does not work like most adjectives. It is not fluid. It functions as the kind of honorific that would be rude to omit. And all this is strange if the point is to announce to the whole world that Fr. Seraphim has passed away. In some academic circles this would be called, “misusing a speech act.” For practically everyone else I’ve sampled, the term “blessed” is a gentle ackowledgement of someone’s passing and nothing more. In the fundamentalist usage, the use of “Blessed” is not, however much used, a shrill insistence to keep on telling the whole world that their leader, Fr. Seraphim, is dead. And to put things differently, the practice of calling someone of blessed memory, “blessed,” is being used as a sort of ecclesiastical loophole to venerate someone who has not been canonized. There’s some pretty twisted logic there, and it’s warped in the same way. Adapted from a mailing list post. I’ve still left it as clunky as when it was first written. In the interests of providing a fuller picture, and perhaps letting other list members understand why I hold a perspective that seems hard to explain in someone who has given thought to the question, I have decided to give an account of how I came to my present position. A serious attempt at representing the cases for and against different perspectives — even the case for my own perspective — is beyond the scope of this letter; I intend to state, without tracing out in detail, my present perspective, but not to give arguments beyond a scant number without which the plot would be diminished. That stated, I am attempting, to the best of my ability, to write with the kind of honesty Feynman describes in “Cargo Cult Science” [in his memoirs Surely You’re Joking, Mr. Feynman]— not a selective account of facts designed to optimize persuasive effect, but (after combing through my memory) as comprehensive an explanation as I can provide without reproducing arguments, one that includes details that will hurt my persuasive impact every bit as much as those that would advance whatever facade I might expect to hold the most compelling influence. I am attempting to place chronological events in chronological order, explicitly noting the exceptions. If there are relevant details (‘relevant’ from the perspective of any side of the debate, not just my own) that are not reproduced here, it’s because I couldn’t find them after looking for them. My earliest remembered belief, from childhood, was of a six day young-earth creationist view. I read from the Bible, and I think I read some conservative Christian children’s material, although I can’t remember what; I don’t remember it explicitly arguing for a young-earth view so much as assuming it, and warning readers about hostile science teachers when it came to evolution. My father (who holds a doctorate in physics and teaches computer science at Wheaton College) believes in an old earth, but has not (so far as I know) committed to details of theories of the origin of life in a sense that would interest a biologist; in a discussion a year or two ago, I remember him responding to Wheaton’s President’s perspective that some origins questions are purely exegetical by saying, “Science is ahuman discipline; theology is a human discipline.” (I would not put things that way exactly, but I am providing it as an example of the situation I grew up in.) I don’t specifically remember my mother saying anything about origins questions. The only time during my childhood I can recall a Christian adult trying to influence my thought about origins-related questions was when I looked at my Bible, which had a timeline of different figures and events in the Jewish lineage, with estimated years for different people, and then at the far left had the Creation, the Fall, and some other event (I think the Flood or the Tower of Babel), for which no estimated date was given. Assuming a linear relationship between position on the timeline and time, I extrappolated a date for Creation, and my Sunday School teacher tried to explain to me that I couldn’t do that, that that wasn’t using the figure properly. I don’t know what she believed about origins questions, just that she tried to dissuade me from misreading a timeline. At any rate, my beliefs congealed after I had enough mental maturity to understand the details of the Genesis 1 account, and before I had serious contact with scientific findings or with the Biblical-theological case that the natural order is subject to legitimate exploration and discovery. Sometime in middle to late childhood — I think before eighth grade, but I’m not positively sure — I read a long Christianity Today article about origins questions, following a “four views” format. I remember that theistic evolution was included, and that one of the respondents was Pattle Pun, a biologist at Wheaton; I have vague, inconclusive rememberances that one perspective was progressive creation, and that one of them might have been six day, young-earth creationism, but I’m not sure on either of the last two accounts. After reading it, my beliefs began to shift. I don’t remember exactly what I believed when the process of shifting was going on; to fast forward a bit, I do remember the resting point they came to and stayed for quite a while. It was a theistic evolution account, drawing on quantum uncertainty and chaos theory, and intermittently including a belief in distinctly supernatural punctuations to equilibrium. Ok, end of fast-forward; back to chronological order. In eighth grade (I was attending Avery Coonley School, a private magnet school for the gifted), the yearlong biology course was taught by Dr. John A. Rhodes, a biologist and the school headmaster, a man for whom I hold fond memories. Early in the course, Dr. Rhodes made a very emphatic point that we should tell people at prospective high schools that we were taught from BSCS Blue, which was widely recognized as the best biology text to be taught from (I believe it to have probably been a high school text; math, at least, was broken into one year advanced and two years advanced). I don’t have independent confirmation on this claim, and perhaps a teacher who wanted to de-emphasize molecular biology in favor of other branches of biology might have preferred another text, but he was very emphatic that the text was what I would call the biological equivalent of an O’Reilly technical book. When it came to the beginning of the chapter on evolution, Dr. Rhodes commented that he was always interested in hearing new theories on questions of origins, and I wrote him a letter stating what I believed at the time. He thanked me, and a couple of class periods later told me that he’d enjoyed reading it. I was preparing for a battle of wills, and found nothing of the sort; I doubt if he believed anything similar to what I believed (before or after), but he provided an open atmosphere and encouraged inquiry. Some time (I have difficulty dating this as well, but it appears to have been after I was first exposed to serious arguments for believing in something besides young-earth creationism, probably after eighth grade biology, and before my beliefs came to a theistic evolution attractor in high school) I was browsing at the library — not looking for anything specific, just trying to find something interesting and stimulating to read. I found a book from the Creation Research Institute, and read with interest the back cover, which stated that it explained powerful scientific evidence that showed that the world was created in six days, a few thousand years ago. This was exactly what I was looking for. I checked it out and started reading it. I didn’t get a quarter of the way through. I skipped freshman year, and entered the Illinois Mathematics and Science Academy as a sophomore. (For those of you not familiar with IMSA, it’s a high-powered magnet school; a master’s degree is required to teach, and several times the senior class has gotten the highest average ACT score in the nation. When I went to Wheaton, I was able without difficulty to start off in 300-400 level courses, and I was puzzled as to why so many people had warned me about college being tougher than high school.) There was a lecture by Dr. Pine (staff scientist; didn’t teach any classes) on science and pseudo-science, one that was abrasively naturalistic, and began by saying “It’s OK not to be a scientist; George Washington wasn’t a scientist,” but later parts of which would only make sense under an assumption that science has a monopoly on legitimate inquiry into those questions it concerns itself with (or something equivalent for discussion purposes). His name was a symbol of arrogant scientism even among those who weren’t familiar with the scientism/science distinction, and I remember (when talking about the lecture with an aquaintance) my friend commenting that there were a lot of people offended by that lecture. The lecture wasn’t focally concerned with origins questions, Dr. Pine having focused more of his attack on things like ESP, but I wanted to include this in the record. At Wheaton, my Old Testament class covered a few exegetical theories on interpreting the beginning of Genesis (i.e. the gap theory, which says that the Genesis chronologies are accounts with significant gaps), albeit not in a manner that would be interesting to a biologist; they would be equally compatible (or incompatible) with Darwinian and Lamarckian evolution. I remember in particular the time given to the Ten Plagues in Israel’s deliverance from Egypt; massive energy was given to a forced interpretation that would reconcile the Biblical account with an explanation that a materialist could easily swallow (i.e. the water turned to blood was an explosive bloom of some sort of reddishly colored micro-organism in the waterways), and I would rather that the teacher have said, “The ten miraculous plagues are too much for me to swallow,” than “I will rescue the ten miraculous plagues by explaining how they were ten ordinary disasters that weren’t miraculous at all.” (Readers may perceive a degree of intellectual dishonesty in my own version of theistic evolution; such an accusation probably has some degree of truth to it, but I will not try to address it here.) This, and the other two classes mentioned below for completeness, did not alter my perspective so far as I remember. I took an environmental science elective, and the course material made sporadic reference to evolution (for that matter, one video began with a beautiful quotation from a Biblical psalm about the wonder of the natural order), but neither the teacher nor the texts made a serious attempt to address origins questions, being much more concerned with explaining (part of) how the environment works, and how to be a responsible citizen minimizing unnecessary environmental degradation. The last class I am mentioning for the sake of completeness of record is my philosophy of science class. Evolution was discussed in so far as the history of scientists accepting the theory is interesting to a philosopher of science; there were no arguments made for or against it, apart from a brief comment in a discussion where one student used the acceptance of Darwinian evolution as an example of a good decision on the part of the scientific community. To wrap up this part of the discussion, I transferred out of Wheaton for reasons of conscience, and finished up my bachelor’s at Calvin, and did a master’s in applied mathematics at the University of Illinois. I did not have occasion to revise my beliefs concerning origins questions until some time later, and to properly explain exactly what opened up the question again, I need to give a little more background. Christian Contemporary Music, n. A genre of song designed primarily to impart sound teaching, such as the doctrine that we are sanctified by faith and not by good taste in music. One thing that has distressed me to no end is that much of today’s Christian culture (popular sense, not anthropological sense) is garbage. What Dante and Handel produced is cherished on artistic merits by people openly hostile to their beliefs; the same cannot be said for the contents of John’s Christian Bookstore. I don’t want to analyze historical causes or implications, but it is something I find to be quite embarrassing — and one of the reasons I spend so much time on writing, namely to be one person who produces Christian art that is not trash. At any rate, there was one point where I was browsing the web, searching for provoking Christian musings — and wading through one banal, syrupy, intellectually juvenile posting after another. I was quite bored, and kept searching long after I should have given up — and then read an article entitled, “Abortion: A Failure to Communicate”, and sat there, stunned. The article made an argument why, from a pro-life perspective, it is not helpful to say “Save the children!”, argue that a foetus is a child rather than unwanted tissue, or erect a place called “New Life Adoption Center”. The particular argument (or even issue) is not why I was stunned. I was stunned because the article represented an intellectually mature, nuanced, and insightful perspective, and raised points that made sense but which were not at all obvious trivialities. Once I got over being stunned, I poked around and found out a bit more about the site hosting it — an anthology site called Leadership University at www.leaderu.com. In the following days, I looked around and found a number of stimulating articles. After reading a while — and enjoying it thoroughly — I paid attention to something I had not previously looked at, that the site had a science section. That seemed somewhat strange; I wasn’t surprised at sections for humanities disciplines, as thinking Christianly makes a big difference in the humanities, but why science? My Dad shared both faith and enjoyment of heavily mathematical disciplines (math, computer science, physics) with me, but he had never hinted at what e.g. “Christian physics” would mean — nor had anyone else I knew of — so I clicked on the link to find out what on earth the site listed as a distinctively Christian way to think about science. My estimation of the site dropped by about ten notches when I saw a list of titles attacking Darwinism. So this otherwise serious and intellectually responsible site had stooped to host Creation Science. I left the computer in disgust. Some time after that, I began to experience quiet, nagging doubts — doubts that I was not being fair to Leadership University or even to those articles by dismissing them (and assessing penalty points) without consideration. I could see no justification for stooping to Creation Science, for trying to rehash a battle that was decided and over, but at the same time, there was no other point at which I had looked at the site and regretted taking the time to read an article. If a friend (whom I had hitherto known to be trustworthy) were to say something I found hard to believe, wouldn’t I consider him to have earned the benefit of the doubt? So I went back to the computer, expecting to read more Creation Research Institute-style materials, and met with yet another surprise. I expected to see an attack on Darwinism. I hoped (but did not expect) to instead see something that would live up to Leadership University article standards. What I found was an attack on Darwinism that lived up to Leadership University article standards, and it produced a lot of cognitive dissonance in me. Some years before, I might have jumped at an argument that Darwinism was seriously flawed. Not now. Darwinian evolution was a part of my education, and (if I did not go into naturalism) an argument that Darwinism was much more flawed than I had been led to believe, affected me as would an argument that any other major scientific theory was much more flawed than I had been led to believe — it had some very troubling implications. So I looked through several articles, hoping to find a fatal flaw — and the hope waned. I was not open to resolving the question based on the online articles, but the articles disturbed me enough that I very distinctly believed that there was a question in need of resolution. So, not too much longer, I poked around until I found Philip Johnson’s Darwin on Trial and, a bit later, Michael Behe’s Darwin’s Black Box, hoping to find justification to persist in my previous belief, but even more hoping to resolve the inner tension between believing (and wanting to believe) one thing, and seeing evidence that appeared to suggest another. Reading Darwin on Trial fleshed out what was sketched in the articles. (Darwin on Trial took me an afternoon to read, and I am probably not a fast reader by Megalist standards; Darwin’s Black Box took me a day.) The articles, at least at Leadership University, do not provide what I would consider a basis to decide; they outline the argument, but the length restriction makes it hard to make an argument without holes. The book, on the other hand, had the room to argue systematically and carefully. Its arguments were sufficient to dislodge me from the resting place I had found, and the best metaphor I can use to describe the subsequent sifting of thoughts is a loss of faith. In a conservative Catholic family, perhaps pre-Vatican II, a child grows up to believe that if the priests say it, speaking officially, it is true — perhaps there is room for miscommunication and the like, but there is a basic faith that the mouth of a priest is the mouth of an oracle. In a contemporary scientific schooling context, a student is taught to believe that if the science teachers say it, it is a bona fide attempt to convey the truth as best understood by the scientific enterprise. There are any number of basic nuances — miscommunication, error, intentional simplification for any of several obvious reasons, the teacher articulating the views of one position in a controversy — but, as with the Catholic family, there is a basic faith (even if it’s not put that way, a mistrust of faith and authority being one of the items on the catechism) that the teacher represents the best science can offer, and so (for instance) if evolution is portrayed as an established theory that explains reasonably well everything one would expect it to explain, then that must be true. It is that faith which I lost. There is one example that particularly sticks in my mind. I am not going to call it ‘typical’, with the accompanying implication that I could easily pull half a dozen other examples that serve my point equally well; there are a number of other examples, and this is the one made the most forceful impression on me. One example that occurred in both my textbooks — as best I recall, they both had photographs to illustrate camouflage effects — concerns pepper moths in England. Before the Industrial Revolution, the majority of pepper moths were white, with a significant minority that were black. Come the Industrial Revolution, when everything was blackened by soot, the proportions shifted, so that the majority of pepper moths were black, with a significant minority that were white. Then, after the Industrial Revolution had run its course and things were no longer covered with soot, the proportions again shifted, so that the majority of pepper moths were white, with a significant minority of black moths. This is given as a supporting example of “evolution”. Johnson does not treat “evolution” as one amorphous mass; he regards the distinction between microevolution and macroevolution as significant, including that evidence of one is not necessarily evidence of the other. Neither he nor anyone else I’ve read challenge microevolution (or the existence of natural selection as an influence on what survives — though he suggests that natural selection is a conservative force). What is specifically challenged is macroevolution, and whether natural selection constitutes a generative force that is responsible for the diversity of life now on this planet. The pepper moth example shows natural selection in action; what it does not show is that natural selection is a creative force that causes new kinds of organisms to appear. If black pepper moths were unknown before the Industrial Revolution, and then (once the smoke started billowing) a mutation (one that hadn’t occurred, or at least hadn’t survived, before) introduced a black gene into a previously all-white pool, and the new kind of moth started to take over for as long as trees were covered with soot — then this would constitute a small-scale instance of evolution as a generative force. As it is, both kinds of moths existed before, during, and after the Industrial Revolution, in significant numbers — nothing even went extinct (at least in the pepper moth population). This provides evidence of natural selection in some form, but to present it as evidence of “evolution” is presenting evidence of one claim as evidence of two or more distinct claims, at least one of which is not supported by the evidence — a practice that is, at best, sloppy, and at worst, deceitful. My disappointment at my teachers’ presentation of undue optimism about macroevolution was not nearly as significant as my own disappointment at myself, and my having believed it. Perhaps it would have been easier to merely be angry at my teachers, but I was not angry; my chief disappointment was with myself. After I had to some extent regained my bearings, I read Darwin’s Black Box, which provided one major new concept not addressed by Darwin on Trial, and several examples of that concept (irreducible complexity), and started talking about it on IMSA alumni notesfile forums. The one exception was a microbiology graduate student. He read the arguments I drew from the other sources, and commented that I seemed well-read and that the arguments seemed plausible. Part of that is being diplomatic, but I don’t think it was diplomatic politeness covering disrespect or distaste — he didn’t want to commit to a position without first taking an unhurried investigation of the question (which I didn’t want to do either — the web articles didn’t convince me of any conclusion besides that I should read the unabridged take on them). Microevolution as a consistent force in our time and probably at ages past, probably a conservative force. Sudden appearance and disappearance of species, such as has not been accounted for in evolutionary theory so far as I know (perhaps acknowledged in punctuated equilibrium, but not accounted for — saying that changes happen off camera in 100,000 year geological eyeblinks, without explaining why, doesn’t constitute a valid theory). Irreducible complexity in living organisms due to intelligent design, and in many cases not explained by any known plausible evolutionary scenario. This is not a scientific theory so much as a framework, a partial specification; it represents a move away from naturalistic evolution as the complete answer and does not represent a fully detailed alternative — I think other people should work on that; I just haven’t invested in it myself. It is like, after having long believed a story about an event, coming to believe that the story is false — another explanatory story does not automatically spring up, although in a scientific community the rejection of one theory as flawed leads to the appearance of other theories to take its place, perhaps involving a shift in framework — witness the ultraviolet catastrophe. If I were a biologist working on a theory of origins, I would try to take this framework and extend it to the point of being a falsifiable theory —Darwin’s Black Box at the end addresses some issues towards constructing falsifiable theories, suggesting the sort of questions to ask in the process. There might be material to be mined in cryptanalysis; a codebreaker who sees a pattern is constantly asking whether the pattern represents a step towards cracking the code, or is only fool’s gold. The concept of p-values may be relevant. I do not believe I can take more than incidental credit for this; I believe they are persuaded, not by my eloquence in a small number of posts, but because the evidence itself suggests things which a purely Darwinian account has trouble explaining. Readers who also read the popular usability author Jakob Nielsen may have read him give a popularized version of “the query effect,” which is essentially that even if people don’t have an opinion on something before you ask, if you ask their opinion they will very quickly come to an opinion, share the newly formed with you, and walk away thoroughly convinced of the opinion they just shared. I think it’s really cool that a chemist can take two beakers full of clear liquid and pour them together and have it turn colors. Our lives are so much better for things that need chemistry for us to be able to manufacture them. Chemistry is foundational to how we as a society have raped the environment. 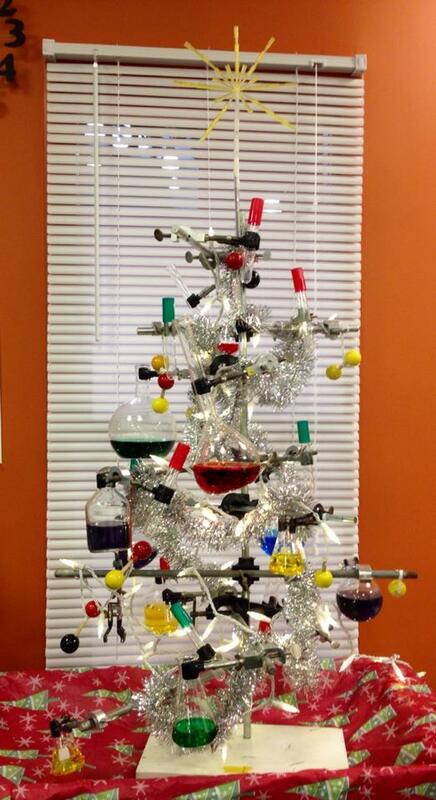 What difference chemistry makes depends on how you make use of it. Chemistry came from alchemy—I’m a bit more curious about alchemy! Now what about an answer of “There are not hundreds of elements, e.g. hydrogen, helium, lithium, etc., but the original four elements: earth, air, fire, and water. Chemistry is intrinsically atheistic, and no Orthodox should believe it.“? Elsewhere in these homilies, St. Basil clarifies that the four elements are earth, air, fire, and water, and claims that this is the (non-negotiable) teaching of Genesis 1. Feynman and St. Basil’s summary of his opponents are saying the same thing, and almost with the same economy. St. Basil’s description could be used as a pretty effective surrogate if Feynman’s words here were lost. A sane reading of the Fathers would take a deep breath—or simply not need to take a deep breath—and recognize that something other than legalism is the wisest course for dealing with occasional passages in the Fathers that condemn chemistry, just like with the passages that claim a young earth. Just like the passages that claim a young earth? The fourth volume of the Philokalia touches on scientific subjects as much as anything I’ve read from the Fathers, but while they assume a quite sophisticated grasp of solid geometry, I have great difficulty reconciling them with a good old-fashioned globe, which does not really depict the earth as a solid sphere partly embedded in a much larger sphere of water. It is helpful in dealing with passages from the Fathers to recognize what are genuinely Independence Day topics and what are only Casamir Pulaski Day topics. Independence Day topics include repentance, theosis, Grace, hesychasm, and there tend to be numerous treatises devoted to them. Casamir Pulaski Day topics like rejection of chemistry as atheistic, or insisting on a young earth, may be agreed on, but I have not read or heard in thousands of pages of patristic writing where either topic is front and center. So far I have only found brief passages, generally among other passages condemning various opinions in ways that, when they touch scientific subjects, are a bit scattershot—much as when one is proceeding the wrong way—as regards contributing to any useful and coherent way of evaluating modern science. I’m not going to condemn believing in a young earth as it is a very easy conclusion to reach and it is shared among many saints. But I will suggest that even the conceptual framework of having an origins position is strange and not helpful, as it is spiritually really not that helpful to weigh in on whether chemistry makes you an atheist. We’re making a really big deal of a Mexican Casamir Pulaski Day, much to the confusion of those connected with Méjico! Let me briefly comment on the mainstream origins positions held by Orthodox. Some things are non-negotiable; among them being that God created the world and that the human race is created in the image of God. Atheism, naturalism or materialism is not acceptable, with or without connection to evolution. The Ancient Near East and pagan Greek philosophy hold to various opinions which are not to be accepted: among these are that a hero or god fought a dragon or demon and ripped her body in half, making half into the sky and half into the earth; that the universe was created by divine sexual activity in a fashion that need not be described to Orthodox Christians; that the world has always existed and is as uncreated as God; and that the world is an emanation from God (divine by nature in a diluted form), in classical pantheistic fashion. All of these are to be rejected, but I am not aware of a camp among today’s Orthodox, nor have I encountered a single Orthodox follower, for these kinds of positions. And none of these seem to really overlap any mainstream position. 1: The saints believed in a young earth and that’s how I read Genesis. If you believe this, and don’t go further or mix it with anything non-Orthodox, this is fine. 2: I believe in an old earth where God miraculously intervened by creating new life forms over time. This position is now backed by intelligent design movement texts, such as Philip Johnson’s Darwin on Trial. The downside, at least as explained to me by two very hostile Orthodox theistic evolutionists who shut me down before I could make my point instead of letting me make my point and then refuting it, is that the new intelligent design movement was concocted by the Protestant creationist Discovery Institute to attract people not attracted by young earth creationism’s handling of science. Like the position that follows, most of its followers don’t jackhammer people who disagree. 3: I’m not a scientist, but I believe God could have done it through evolution. This option registers to me as a genuinely comfortable assent to science, but without awareness that the science in question has changed profoundly in the past hundred years. But I wish to underscore: theistic evolution is (usually) an “I won’t drop the hammer on you” signal, and that is an excellent kind of signal. 4: I am a scientist, and I believe God probably worked through evolution. My experience with this has not been the most pleasant; in one case behind the open hostility and efforts to shut me down from arguing (and rudely stop me before I could make my point at all instead of letting me make my point and then explain its flaws) may have lurked an uneasiness that I represented enough authority that I was intrinsically a threat to their certitude that scientific evidence pointed to “evolution” (as the term has been redefined in the sciences of today). With that stated, I have known several Orthodox physicians, and I expect some of them after extensive evolution-laden biology classes would lean towards theistic evolution. However, I’m not sure as they generally seemed more interested in knowing, for instance, if I was having a nice day, than convincing me of their views about origins. 5: God created a young earth and we know because Creation Science proves it. I am perhaps biased by my frustrating experience with this crowd. I’ve had people offer to straighten out my backwards understanding of science whose understanding of science was so limited that I could not lead them to see when I was making a scientific argument, as opposed to just arbitrarily playing around with words. I have an advanced degree from a leading institution and a lot of awards. I am not aware of any of the people who sought to do me the favor of straightening out my backwards views on science as having a community college learner’s permit associate’s degree in any of the sciences. The problem with Creation Science is not that it is not science. It is painfully obvious to those outside of the movement that it is a feature of the Protestant landscape, perhaps a Protestantism of yesteryear rather than Protestantism today: Wheaton College, which is quite arguably the Evangelical Vatican, has something like three young earth creationists on its faculty, and I have never heard the one I know even mention Creation Science—he only claims to accept a young earth from reading and trusting the Bible), and the origin and nature of Creation Science are well described by a leading Evangelical scholar of Evangelicalism, Mark Noll in The Scandal of the Evangelical Mind. Kiddies, if you’re going to take one feature of Protestantism and incorporate it into Orthodoxy, take Bible studies, or My Utmost for His Highest, or some other genuine treasure that tradition has produced. It would be better to do neither, of course, but those are better choices. Taking Creation Science from Evangelicalism is like robbing Evangelicalism in a blind alley, and all you take away is its pocket lint! More than one person who have held this last position have called into question whether I should be calling myself an Orthodox Christian at all because I didn’t believe in a young earth. And I really think that’s a bit extreme. In twelve years of being Orthodox, I have on numerous occasions been told I was wrong by people who were often right. I have been told I was wrong many times by my spiritual father, by other priests, and by laity who usually have had a little bit more experience, and I suspect that future growth will fueled partly by further instances of people pointing where I am wrong. However, when I was newly illumined and my spiritual father said that what I had just said sounded very Protestant, he did not thereby call into question whether I should be calling myself an Orthodox Christian. The only context in the entirety of my dozen years of being Orthodox that anybody has responded to my words, faith, belief, practice, etc. 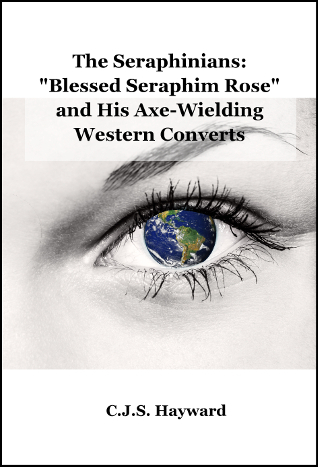 by directly challenging whether I should be calling myself an Orthodox Christian at all, was Seraphinians who were exceedingly and sorely displeased to learn I did not share their certain belief in a young earth. This seems to say little about my weaknesses (besides that I am the chief of sinners), and a great deal more about an unnatural idol that has blown out of all proportions. The Casamir Pulaski day represented by the theologoumenon of a young earth has completely eclipsed every Independence Day question on which I’ve been wrong, from my early ecumenism (ecumenism has been anathematized as a heresy), to a more-inappropriate-than-usual practice of the Protestant cottage industry of archaeologically restoring the early Church. In both cases my error was serious, and I am glad clergy out-stubborned me as I did not give in quickly. But they refrained from casting doubt on whether I should be calling myself an Orthodox Christian; they seem to have seen me as both a nascent Orthodox and wrong about several things they would expect from my background. Really, we do need Church discipline, but isn’t dropping that sledgehammer on people who don’t believe a young earth a bit extreme? I’ll not return the insult of casting doubt on whether they’re Orthodox; I don’t see that this option is acceptable, but I believe it is coherent to talk about someone who is both Orthodox and wrong about something major or minor. 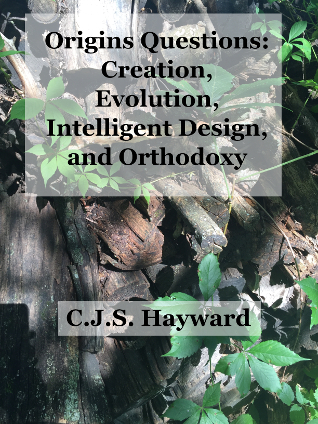 I believe that Creation Science is a thoroughly Protestant practice (that it is not science is beside the point), and militantly embracing Creation Science is one of the ways that the Seraphinians continue a wrong turn. The position of Creation “Science” in relation to genuine science is the same as the relation between a non-canonical jurisdiction and the Orthodox Church. Even (or especially) if they have the word “Genuine” written right into their name! But quite apart from that, the question of origins as I have outlined it is itself a heritage from Protestantism. Evangelicals once were fine with an old earth, before Evangelicals created today’s young earth creationism; the article Why young earthers aren’t completely crazy talks with some sympathy about the Evangelical “line in the sand;” Noll tells how it came to be drawn. The fact that it can be a relatively routine social question to ask someone, “What is your opinion about origins?” signals a problem if this Protestant way of framing things is available in Orthodoxy. It’s not just that the Seraphinian answer is wrong: the question itself is wrong, or at least not Orthodox as we know it now. Maybe the question “Did God create the entire universe from nothing, or did he merely shape a world that has always existed and is equally uncreated with him?” is an Independence Day question, or something approaching one. The questions of “Young or old earth?” and “Miraculous creation of new species or theistic evolution?” are Casamir Pulaski Day questions, and it is not helpful to celebrate them on par with Independence Day. One friend and African national talked about how in her home cultural setting, you don’t ask a teacher “What is your philosophy of education?” as is routinely done in the U.S. for teacher seeking hire who may or may not have taken a single philosophy class. In her culture, that question does not fit the list of possibles et pensables, what is possible and what is even thinkable in that setting. (This whole article has been made to introduce a concept not readily available in the possibles et pensables of our own cultural setting, that having a modern style of “origins popsition” at all is not particularly Orthodox; and that some positions, even or especially among conservatives, are even more problematic. A transposition to chemistry helps highlight just how strange and un-Orthodox certain positions really are.) And let us take a look at Orthodox spiritual fathers. 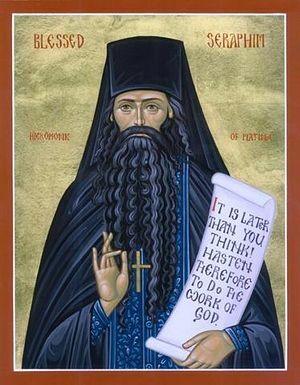 As advised in the Philokalia and innumerable other sources, if you are seeking a spiritual father, in or out of monasticism, you should make every investigation before entering the bond of obedience; after you have entered it, the bond is inviolable. I don’t know exactly how Orthodox have tried spiritual fathers, but I have difficulty imagining asking a monastic elder, “What is your personal philosophy of spiritual direction?” Quite possibly there is none.Even thinking about it feels uncomfortably presumptuous, and while theological opinion does exist and have a place, defining yourself by your opinions is not Orthodox. I feel I may be sending a very mixed message by the amount I have written in relation to origins questions given that my more recent postings keep downplaying origins debates. Much of what I have written has been because I don’t just think certain answers have flaws; the questions themselves have been ill-framed. These pieces are all intended to move beyond Casamir Pulaski Day and pull out all of the stops and celebrate Independence Day with bells on. They may be seen as an answer to the question, “Do you have anything else to discuss besides origins?” If you read one work, Doxology is my most-reshared. My live story up until now would be immeasurably impoverished if the various ways in which India had entered my life would simply be subtracted. I appreciate Indian food, even if I eat it in a non-Indian (Paleo) fashion. And that is not trivial, but there are deeper ways I’ve been enriched by that great nation. One of these relates to pacifism, where one of India’s giants, one certain Gandhi, is perhaps the best-known person in history as I know it for the strength of pacifism. The temperature of Heaven can be rather accurately computed from available data. Our authority is the Bible: Isaiah 30:26 reads, Moreover the light of the Moon shall be as the light of the Sun and the light of the Sun shall be sevenfold, as the light of seven days. Thus Heaven receives from the Moon as much radiation as we do from the Sun and in addition seven times seven (forty-nine) times as much as the Earth does from the Sun, or fifty times in all. I am writing to you concerning the inestimable responsibility and priceless charge who has been entrusted to you. You have been appointed guardian angel to one Mark. Who is Mark, whose patron is St. Mark of Ephesus? A man. What then is man? Microcosm and mediator, the midpoint of Creation, and the fulcrum for its sanctification. Created in the image of God; created to be prophet, priest, and king. It is toxic for man to know too much of his beauty at once, but it is also toxic for man to know too much of his sin at once. For he is mired in sin and passion, and in prayer and deed offer what help you can for the snares all about him. Keep a watchful eye out for his physical situation, urge great persistence in the liturgical and the sacramental life of the Church that he gives such godly participation, and watch for his ascesis with every eye you have. Rightly, when we understand what injures a man, nothing can injure the man who does not injure himself: but it is treacherously easy for a man to injure himself. Do watch over him and offer what help you can. Happy Independence Day! Enjoy the fireworks display.